I sort of pretend to be a basketball fan when Memphis comes to town (go Grizzlies! ), but when it comes to the NCAA’s March Madness, I really couldn’t give two shits. 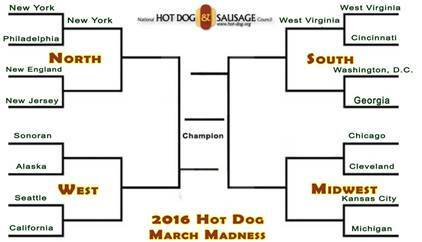 However, despite my lack of caring, I inevitably get suckered into the office bracket (looking at you, Anne and Pat). 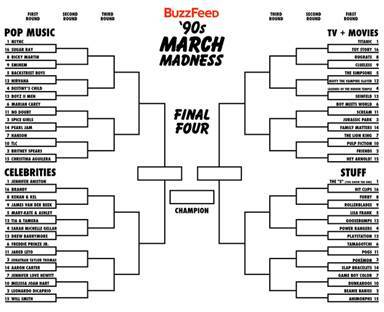 While I’ve already submitted my bracket – a zero effort carbon copy of my boyfriend’s – if you’re looking for alternative entertainment that doesn’t involve college athletes, I’ve rounded up a few of my fave options. Some of these are already underway, so if you feel strongly about Ricky Martin, hot dogs or global lightning activity, I urge you to cast your vote asap. Who doesn’t love a good boy band rivalry? 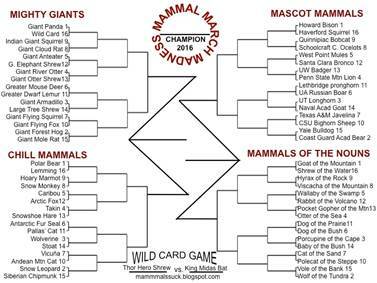 Not sure why we need to pit giant mole rats against Siberian chipmunks, but hey, it’s not bball! 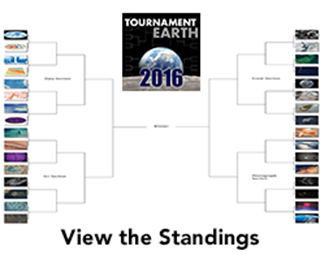 The best anti-sports bracket a science geek can pray for.